Years ago, I learned a “spiritual communion” prayer that St. Josemaría Escrivá learned as a child from his mother’s confessor. It goes like this: “I wish, my Lord, to receive you, with the purity, humility and devotion with which your most Holy Mother received you, with the spirit and fervor of the saints.” Millions around the world now pray that prayer. A spiritual communion is a personal devotional that anyone can pray at any time to express their desire to receive holy Communion at that moment, but in which circumstances impede them from actually receiving holy Communion. The impeding circumstances might be a variety of things: the person could already be “maxed out” because they have already received holy Communion twice that day; or the person could be in prison and unable to attend Mass; or the person might be elderly and at home watching Mass on the television or listening to it on the radio; or the person might be hiking a mountain and wants to be more deeply united to Jesus Christ at that moment. 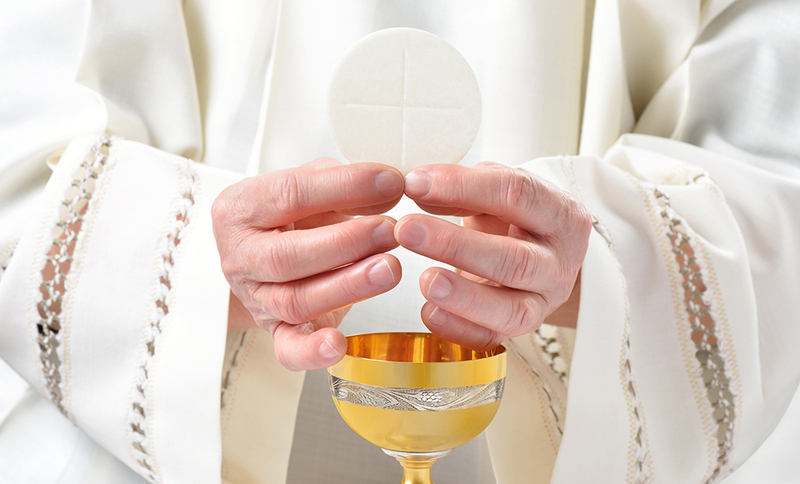 There is no such thing as an “official” spiritual communion. Everyone can make up their own, or use a prayer another person composed. When you pray a spiritual communion, your soul receives grace to the degree that you have true hunger for the holy Eucharist.